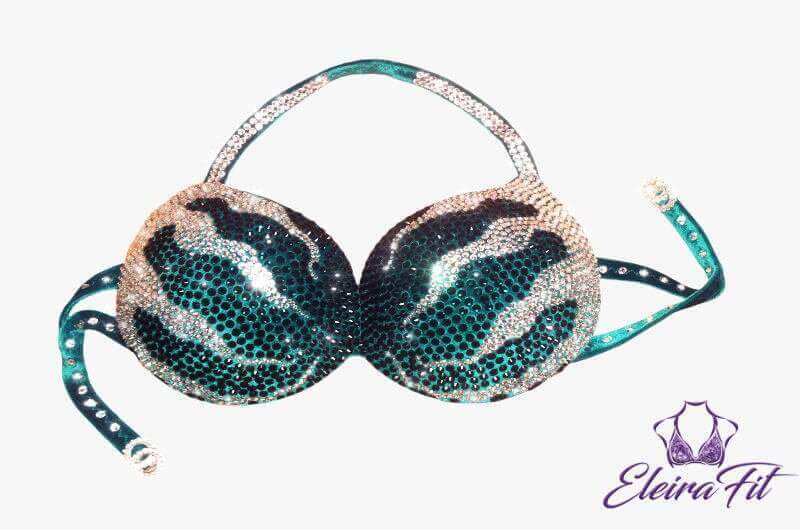 The bikini top is rhinestone studded, with removable padded inserts. 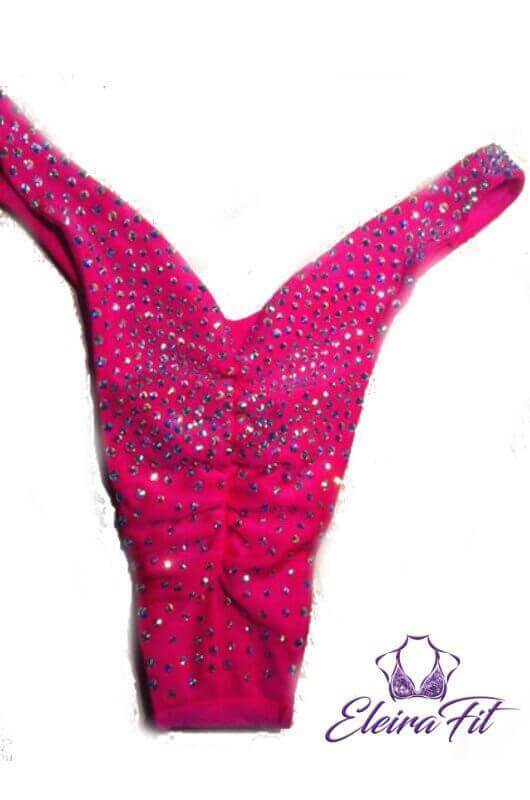 Sparkly straps shine brilliantly with top and bottom rhinestone connectors. The back offers Cheeky style coverage. Read more about your competition’s official rules for allowed style of onstage bikini bottoms here. This soft red suit has a luxurious holographic fabric that’s sure to make you stand out. EleiraFit proudly offers the option to fully customize your suit according to body type and style preferences..